About – Adam Forkelid – Jazz pianist, composer & arranger. Adam Forkelid, born 1979, is one of Sweden’s most sought after jazz piano players. He has played and recorded with many of the most prominent Swedish jazz musicians, including saxophone greats Joakim Milder, Karl-Martin Almquist and Magnus Lindgren, trumpeters Peter Asplund and Jan Allan, trombonist Karin Hammar, drummer Magnus Öström, bass player Georg Riedel and some of the great Swedish vocalists, including Rigmor Gustafsson, Victoria Tolstoy and Christina Gustafsson. He also leads and co-leads a number of groups featuring his own music. The most prolific of these are the trio Lekverk, the quartet PACE, the electronic/acoustic project Soundscape Orchestra, the Brazilian flavored Nórdico and the Adam Forkelid Trio/Quartet. 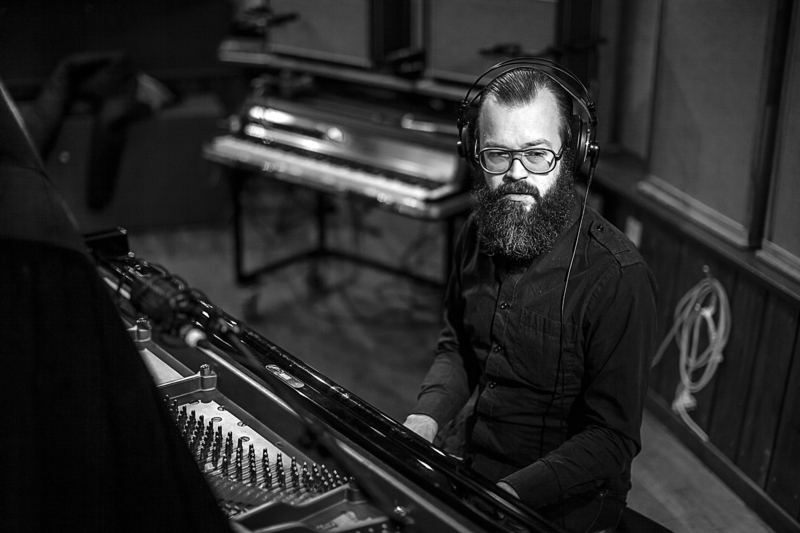 He is a sideman in many Swedish/Scandinavian jazz groups, including Lisbeth Diers Stereofoni Ensemble, Örjan Hultén Orion, Josefine Lindstrand Septett, Björn Jansson Quintet and Hanna Elmquist Band. Since 2012 he has also been a member of the internationally renowned Norrbotten Big Band, where he has played, toured and recorded with the likes of Maria Schneider, Tim Hagans, Angelique Kidjo, Anne-Mette Iversen, Marilyn Mazur and E.J. Strickland. Adam has through the years won several Swedish jazz awards for both his playing and composing.